The Pop Up Lantern is rugged and ultra-portable, making it the perfect lantern for camping, hiking, or for keeping around the house in case of an emergency. There's no power switch - you turn the lantern on and off by sliding the LED portion up and down. It's so cool, and this feature protects the actual lights, reserves power and makes it compact enough to fit in even the smallest backpacks. This powerful lantern features 3 next generation COB light strips and dishes out an impressive 600 Lumens - it is BRIGHT! 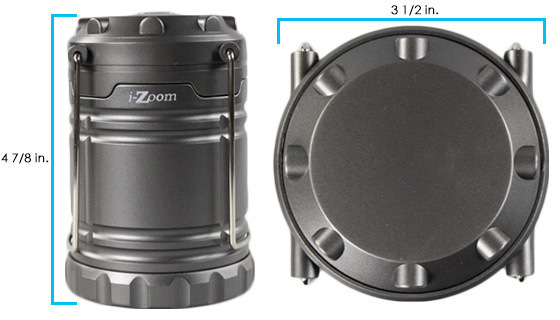 The Atomic Beam Lantern is no match and double the price! Took advantage of the 2 for 1 offer. Delivery was quick. Unfortunately 1 of the lanterns did not work. Email to PulseTV resulted in suggested troubleshooting and when that didnt work a new lantern was shipped. This lantern is the best I have ever bought!!! Its BRIGHT and lights up an entire room!! Perfect for power outages and for camping!! Great for your Cabin or any other place you need light and so PORTABLE!!! Dont pass this lantern up!! My grandson loved it, easy to manage and gives off plenty of light. Pleasantly surprised at how bright this lantern is! I have several other type small lanterns but this one is by far the brightest! It is good quality and I also like that it collapses so it fits in one of my drawers! I plan on buying a few more for Christmas- they will make great “Stocking Stuffers”! Just what I needed. Will be great during a power outage. The lights are very bright. When they work they are GREAT! I love this lamp. I have used it when out side and the main purpose is for when I have a power outage. I ordered the first set for me and was so impressed with them I ordered several sets for gifts and my friends liked mine so much they started ordering theirs. Works as advertised, lights up evenly throughout the room. Light weight and durable. Good buy. Im always looking for good but inexpensive door prizes for our association meetings and these fit the bill to a T. I live in Florida and we have afternoon storms as well as the big named ones now and then and these lights are perfect for those temporary losses of power. Keep up the good work Pulse. Tremendous light from 3 small batteries. Went fishing in remote Canada. No power. Played cards at night. Had to turn it down to see cards. Too bright. Lit up the campsite. Best thing I bought ..really usefull in mountains where I live. This lantern is very bright and does do what the ad says it does! Good if your power ever went out! Very happy with this purchase! I now have 4 of these , they light up my small attic nicely. I bought 1 set and it was fine but when I saw a second set on a 2 for 1 price I ordered another set. The second set the light bulb in one of the lanterns was shot almost no light. I returned them and the replacement set work just fine. Great doing business with you. Thank you for this amazing price and item I love it so much... my girls used it in Camping and they were so happy with it. This is a really good product. It is well made and easy to use. Its light weight and provides good illumination when the power is out. For the price, you cant beat it! This little lantern really puts out some light! Comes in really handy when we have power outages or when we need to go to the pasture after dark. Really lights up the way. I have gotten several. great lights!! !...bought two...lit the entire house...no need for gas lantern...great lights!!! Yeah it was well worth the few bucks I gave for it. A must for the sportsman or just for emergencies. This is a great item. Its very rugged & super bright. Ive seen similar lanterns for twice the price, & they didnt have the built in compass on the top. Well worth the money. good bargain for auxiliary lighting at a good price. They light up very bright. I bought as emergency lights. When they arrived I pulled the tab on the batteries,nice that batteries are included, pulled up the top and got very bright light. I put the tab back between the batteries and now Im set for whatever comes along. Cheaper than those advertised on TV but outstanding quality. I was a little apprehensive because of the lower price but after receiving mine ordered a second set. I originally bought these for our camping trip. We get hit with a bad storm. Knocked our power out for 3 hours. We got to use our lanterns and tell ghost stories..turned into a fun night. Great product. 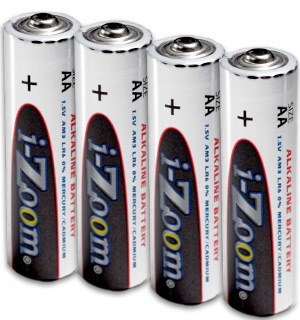 Only comes with heavy duty batteries though instead of alkaline. Ill have to see how long they will last. Seems to work good , fairly bright . Good for the price . I wish it was rechargeable . I really love these potent mini lanterns. They really pack a punch! Very bright, light, and handy! I bought a bunch of them so everyone who goes with us to Yosemite will have one for their camp site!!! Better than flicking your lighter. Very bright Lantern. .. Bought 2 of them... Will probably buy more. .. Very good for back up lights incase electric is brown out . The collapsible light is too bright , the price was reasonable , with battery included , you cant bet that deal. We use this at our camper!! Love the adjustability of these. I ordered two and may have to order a few more for home when the power goes out!! JUST EXPERIENCED AN EXTENDED POWER OUTAGE IN THIS AREA. GAVE THREE 3 OF THESE TO MY KIDS TO USE IN THEIR HOMES AND THEY ALL SWEAR BY THEM NOW AND INTO THE FUTURE. GOOD JOB GUYS!!! My husband loves this mini and very bright light! It is really too bright for my taste, but he ordered it in order to get around in the dark at night in our house! These lanterns are so great all my friends want them. Super Bright, and easy to use. I bought three of the lanterns thinking they could be good to have in a power outage,and because the price was so reasonable. It turned out the lights were awsome.Ilove how you have instant bright light just by pulling up on the handles and if you dont want a lot of light, then simply close it up until you get the desired amount. My friends liked it so much he paid more than I paid for it.I definitely recommend these lanterns to anyone. I bought this light for both my home and for my sister before hurricane season begins this Summer. I was surprised to need it within two weeks of receiving it due to severe thunderstorms, including toronado alerts, which caused a power outage for several hours. It was a great help. Gives wonderful light in multiple scenarios, easy to carry etc. Havent had to leave them on for any length of time, but so far so good. PRODUCT AS DESCRIBED EXCEPT FOR BEING VISIBLE A MILE AWAY. MAYBE 1/4 MILE, BUT A MILE i HAVE MY DOUBTS i KEEP MINE IN MY CAR FOR EMERGENCY LIGHTING. Easy to turn on. Convenient with its handles to hang or position. The magnets are really a greay idea for placing on slanted surfaces. A super buy! I bought 2 of these. One for home and one for camp. The lantern does everything as advertised. Its exceptionally bright. Will light up the whole room. Small and compact. Easy to store . Im impressed with how bright it is ! I have four of the older version, by a different company, so I bought two of these to compare.These are much better at sucking up the dark around you. Very handy, and well made. A Must Have for your vehicle. I love it. Ordered two and placed both of them in my storm shelter under the house. I live in southern Oklahoma where we do see quite a few tornadoes. It is very bright and extremely serviceable. The only thing I wished it had is a magnet on the bottom to use for auto use. WOW- this light is even blinding in the daylight, illuminates a big circle. I ordered 2 of these to take camping. Have not used them yet, but they are the perfect size, and the light is very adequate. I bought 6 thinking I would use all of them while camping. I used ONE at my camp site and could see every thing that needed to be scene....easily. I bought 3 of these lanterns, and frankly, for the price, did not expect much. Boy, was I wrong. These lanterns are ultra bright, beyond my wildest expectations, and so simple to use, and store away, with little space. You will not believe the intensity of the light from these things. I am going to order 4 more, to use in my private back yard. The brightness & ease of use is much better than I expected. Will have one in my car, camper & bedroom,. Will be a great help in power outages. Havent used it enough to comment on battery life, but man, this thing is bright! Bought these to put in vehicles. Product is just as advertised. Compact in size, provides very good, bright light. Easy to store. Bright enough but you have to pull the red plastic tab out in order for it to work. My neighbor wanted one but its made by TacLight and she wont order it because they screwed her on an order of the flashlight. These lanterns are awesome!!! They are small and light, but very bright. I bought a bunch of them so all of my Yosemite campers can have one of their own!!! I think this is a good product for both emergencies and those who travel; useful both on the road and in hotel rooms. I have also purchased an alternative lantern very similar in size and weight that can be charged with sunshine, and does not require battery replacement. Solar charging is a better emergency choice. We recently lost power, though not for long, but being disabled I need at least some light to get around. This gave me great vision and I was able to hook it to the front of my walker and get around easily and be able to read until the lights came back on. Love it! 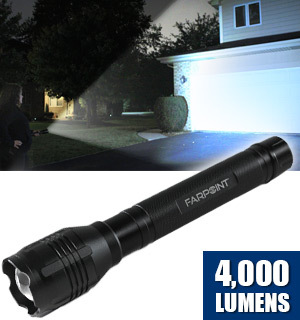 Super brightness, stores away neatly, when the power goes out, its great to have. Camping its the best light on the table. I ordered one for my home as we occasionally have power outages. I found it easy to use and filled the room with light. I then ordered 8 more for friends. I had already purchased this item before. I liked it so well, that I purchased a few more. These lights are good for home use in a power failure or earthquake or other disaster. I also am using them for camping and they do just about as good of a job as gas lanterns but I dont have to carry fuel or propane. I received two lanterns. One was perfect. The other had leaking at the battery terminals. I telephoned Customer Service immediately and described the problem. The lady with whom I spoke was very professional and courteous. She advised me a new lantern would be sent without cost. This was quickly done as it arrived within a few days. I was very pleased! Wonderful product. We live in an area that constantly gets hit by power outages. Either ice storms in the winter months or tornados in the spring. This Lantern is great. Just pull up on the handles and youve got instant light for the whole house. In my experience all of the PulseTV merchandise Ive purchased have matched or have been beyond my expectations. I especially like that all the merchandise usually come with batteries included. I dont have to go looking for batteries and I hate that. 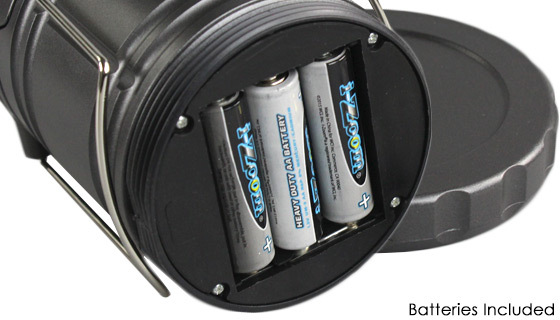 One of the other products I purchased was a battery charger that charges all sizes of batteries of every size and they dont even need to be, Rechargeable Batteries! Thank you PulseTV. You always brighten my day. Great little lanterns that are really, really bright. We bought 2 of these to take camping this Summer and they are so much brighter than I thought theyd be. They are certainly worth the price and I love how you just fold them down to shut them off. Got two of these for camping. Small size, but very bright! When I go camping, I will update my review. Only flaw I give them is they are plastic; well see how long they last. Purchased 2 of these lanterns and I am very pleased. Very compact and extremely bright light. Plan to purchase more . The lantern is small, light, compact, well designed, with a useful holding/hanging handle and a very bright light. The collapsible design means you can half-close it to reduce the light. Ive now bought four of them, for myself and for gifts. Very affordable. Great light. Much better than the plastic ones. This is a great lantern. I got some for me and my whole family. Everyone loves them too. This company has very great values. It is great to be able to get such bargains and of fine quality. Thanks for all the good offers. Glad I bought two of these for the same price as the one you see on TV. The light itself is very bright and the protective housing is high impact plastic. Should be able to drop it a few times without breaking it. Biggest complaint is that the handles are very thin making it feel cheap. Still the light came with batteries and so far it has worked every time I have needed it. I like the way you can adjust the brightness. Had one in the bedroom and the other in the living room last night when a storm came through. Fortunately I didnt need them but when I do they will certainly do the job. Recommend for the price. Would reccommend this product - very pleased with price and quality. This thing is great! I put a lot of crap in my travel duffel. It was hard to find stuff. I toss in this mighty little lantern and it doesnt break. I drop it on the floor and it doesnt break. It doesnt take up much room, but when Im searching thru that bag now, I just pull that lantern on both ends and BOOM! Daytime inside my bag and it doesnt get hot like bright, incandescent lamps. At night when I need to make a pee-trip to the head, I just reach into that bag on the way, and I have a have a brightly lit trail. But since the light comes out sideways not up, I dont get my night-eyes blinded. Its a bright, but gentle glow. And because its collabsible it protects itself and no fragile filaments means long life. No buying expensive and sometimes hard-to-find bulbs. These lights are very bright and easy to use. Will work well when the power goes out. First one came with damage but customer service promptly replaced it! I bought this light for a good price $10 . 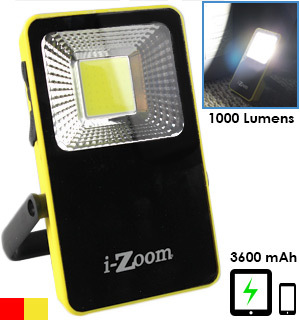 It is nice and compact, very durable, and bright enough for the little projects where you need a flashlight or camping. A good little light even came with batterys! This little Lantern Light is so bright for its size and easy to use! I need to get more! Great product. I ordered four. Great for camping and to have during power outage. The shipping is reasonable. I received it within a few days. Love, love, love this lantern. The brightness is fabulous. Every home needs this in any emergency or camping. I bought 2 I Love them.our power went out friday morning from a storm.i turned them on & WOW they r so bright .1 thing they didnt come with the magnet they show on tv.was disappointed .thought they came with the magnet.Also bought 2 of the Swat Tactical Flashlights for Christmas.husband LOVES them. These are some of the best lanterns that I have ever used. Good Stuff. I like this light.Those cob bulbs are really bright and provide ALOT of light Happy with purchase and price. I ordered three because of the lower pricing. Replaced my older lights that are not as bright. Very satisfied with the performance of the new lights and the price was great. Two thumbs up. It was exactly what I expected. I would only suggest that the shipper protect the unit better. Boxes were damaged, but product was OK. Only reason I rated 4 stars instead of 5. This is going to be just right for me to use camping, especially in the tent in the evening and a run to the bathroom! This is a perfect item for someone in an electric wheelchair. I bought this as backup to a power outage and was stunned at how bright but adjustable the light is. I love this lantern. Two days after I got it in the mailbox, I lost power for 4 hours, and had to us it. This is not why I ordered it. I was thinking about a camping trip. Well, was I amazed at how well this performed in a dark house! I just wish it could have heated a meal. I was starving by the time I could use the microwave. Ha! My neighbor purchased this from a TV commercial and payed over twice as much. This one works better and the only difference is no magnetic bottom which I didnt need anyway. I have two of these for myself and I am now in the process of gifting everyone I can think of with at least one of these. They have been well received and everyone has been pleased with their light. Where we live we are subject to occasional power outages due to storms and such, and these are the perfect go to lantern to grab during an outage. Make sure you have fresh batteries. I was expecting a brighter light. bought these lights to use at night fishing and was really surprised by the amount of light they give off and how easy they are to operate. I had purchased the LED Towers but you no longer carry them and these make a good replacement. Nice lights and they work as advertised. I added four small earth mags to the bottom of each unit to enhance the functionality of the unitsâ€”some advertised models in fact come with the mags installed on them. I do not feel this lantern lives up to its advert as it does not light up a room as it supposed to do. Got these in case of power outage due to bad storms. They will do the trick in every situation I can think of. 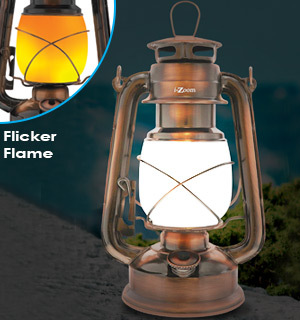 This lantern is an excellent product and well worth the money. One of the best low cost lanterns I have seen. Its clever design allows for a dim light, or a very bright light. Actually, one of the brightest for its size. However, although the compass on the top of the lantern is a nice touch, it probably would be of no use if there was no light to shine on it. a very good lantern-- excellent light !! Quick delivery, seems to work well. I already reviewed this item but could not locate the 1 Star review I left. I guess they only post for so long ? I bought 3 before Christmas & when they arrived only 1 functioned properly. I left a 1 Star review because of the note sent with the product, stating that I had to pay for return shipping cost for the 2 bad ones & it was not worth it because of the return shipping cost. Evidently someone at Pulse monitors the reviews, because I received an email from Kim M., which I am assuming a Pulse Representative on 1/29/2017. She apologized for the inconvenience & said she would send out 2 tested ones to replace the 2 nonworking lanterns. To my surprise about 2 weeks later 2 tested working lantern arrived. Now That Is Great Customer Service !!!! Thank You Kim M. & Pulse. PS, By the way, the lantern are very bright !! A few days after we received the lanterns our electricity went out for 2 1/2 hours. The lamps put out so much light we played board games and read. They are amazing! We liked them so much we bought 3 more for our children to have in their homes. Plus our son-in-law and grandson are going to take them when they go camping. Great lantern and practical. When I tested it for durability I threw it about 20 ft a piece from the top broke off. Lamp still working good. This tiny lantern is very bright and easy to use. I love the collapsible feature. Have used it already for a project where I needed more light. Bought these for my RV and camping. Im impressed with the small size and how bright it is. Dont know about battery life yet. But I needed an easy to carry, bright light to play cards outside with. Light, bright & came with batteries installed! It is a great little lantern which easily illuminates a room. I was impressed with the installed batteries. All one has to do is to pull a plastic tab to activate them. I plan to order two more to keep in each vehicle! In fact its too bright. You cannot look directly at it without hurting your eyes, You can minimize this by closing it down so only a small amount of light shines through. It may be fine in a campsite environment, but havent tried it there. These lanterns are more than I thought they would be. They are bright enough to light up my living room and my camper is only 1/2 the size. Perfect for camping. Purchased 4 lanterns, 1 did not work. Others functioned as advertised. Not overjoyed with a 25% failure rate. Great compact size and very strong, clear light. Easy to carry and keep close in threatening weather and power outages. I just want to say I am truly thankful for this wonderful Swat Tactical Collapsible Lantern. It is more than they say it will be. What a light. I turned it on and the light was so bright it was hard to look and. 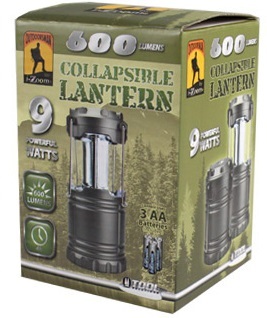 I bought two of them and Im sure when my power goes out or any other need comes along, this Tactical Lantern will be just what I need and more. Thank you so much. Great! This replacement item is perfect and works like charm.Â I give the product 5-stars and the customer service Department 5-stars for making everything right. These are perfect when you want some light in a closed in area. They are also great to light a large open area. All in all, a good product at a very reasonable price. not happy with the brightness.. there are only two bars... there is room for a third but it is missing. And it is a lot smaller than I thought. Obtained two of these and, as fate would have it, less than two weeks later we had an ice storm that caused several power disruptions. These lights were excellent performers during these events. Easy to use and puts out a great spread of light. Love the compactness and bright light. 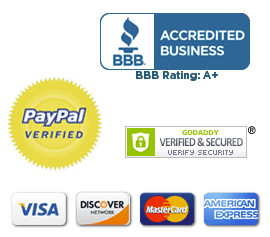 Items ordered were as described and were received in a reasonable amount of time. Very happy and it is very bright and also has a compass on the top. Great for camping and taking on outdoor trips. This lantern is excellent in design and in practical use. I gifted it to my son who is a farmer and he finds many uses for it and I surprised my 13 year old grandson with it at Christmastime and he enjoys it as well. I was very impressed with the lamp. I purchase some for a Xmas Gifts. The receivers were very appreciative. This lantern is easy to use and really really bright. It is great to have in the house in case of a power outage. I have one for the family room and one for our bedroom. I bought several of these lanterns to use as a gift for Christmas. I had nothing but great comments in return. They are great for camping etc. I think I will be buying more. I love these. I would like to buy more. Yes it worked just as described. My grandson loves it. Very bright light and long lasting. Would be excellent item to have on hand for emergency. I ordered 2 and gave away 1 - The one that I have kept, I like it! received two lanterns only one worked properly, called customer service and they are to send a new lantern. Fantastic!! Its as if the lights are still on. Im going to buy a few more. 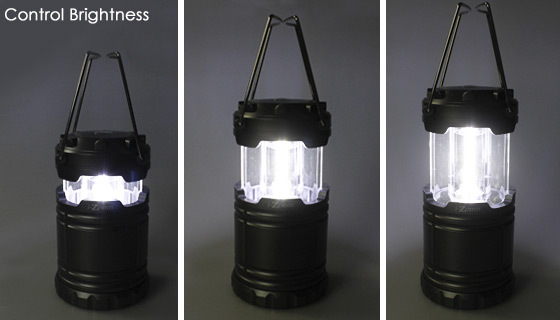 The SWAT Tactical Collapsible Lantern is super. Ultra light as well as Ultra Lite. Great value. Very big hit on Christmas. No one could believe how bright this little lantern was. Great produce. Only problem was the shipping to long to receive. Seems to be of good quality. Works good, batteries may not last too long, 1 has already burned out. IM NOT REAL IMPRESSED WITH THE SWAT COLAPSABLE LANTERN, SURE ITS BRITE, BUT FOR ONE COMPARED TO THE UNIT YOU COMPARE IT TO,ITS MADE OF PLASTIC, CAN EASILY BE DESTROYED, AND IT IS NOT WATER PROOF, NO SEALS NO O-RINGS NOTHING. This unit is very bright. The lantern is robust and well made; just pull it up and it lights. Perfect for use in the home during a power outage, back-yard events during the summer - its January just now or while camping. Great little lantern, I was surprised how much light it put out. I tried it out and my Lady liked it to. Havent seen it since. I guess its a good thing I bought three. Great emergency light, very bright. Would like to see it with an emergency cord to plug it into car power receptacle. But I think it is great !!! I lost power twice this weekend and these lanterns made it easy to so when walking thru my house. Absolutely fantastic,lights up a whole room. A bargain at this price! It is top-notch quality. Strangly enough we lost power the day after we received these and they worked very well. We had to use them for 3 hours and we dont know what we would have done without them. this is the best light for camping at night with young scouts. never know when a good bright light will be needed. The lantern was as advertised. I bought them for an emergency light source. I have not had to use it yet but the initial testing went great. I wasnt sure what to expect. Its super simple, light weight, very bright, and sturdy. I was so pleased, I immediately ordered 3 more just to have around the house or to give as gifts. Perfect for the car, the house in case of a black-out and for camping. This lamp was exactly what I expected it to be. The true test is yet to come. Power Outage But so far it has been great for our table on outside patio at night. Very bright, easy on and off, compact, takes up little space. I have already used them and for the money you cant beet it. They give out great light. 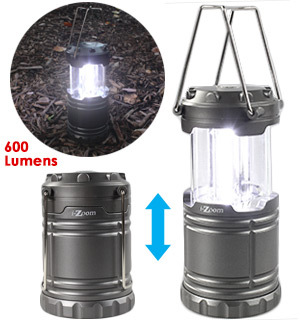 I bought two of these lanterns to use for power outages at our home and also for camping trips in our RV. I really like the brightness of these lights and the number one feature is that these lanterns can stand up by themselves and be used to light a rom when the power goes out. Thats Awesome. Just as advertised. Hope I never have an emergency where I have to use it. It will probably outlive me. I have purchased a few items from PulseTV, but this purchase was by far the best to date. Great Quality and they really do light up an entire room. Im almost looking forward to the next time the power goes out! Cheaply made. Hope it lasts awhile. These are amazing lanterns. They work perfect. Sometimes you have to shake it to get the compass to work but thats okay. The amount of light that it gives off is Fantastic. Im very, very, very Happy with my purchase. I recommend this to anyone that worries about the power going out or for campers that want to brighten up an area. Thanks for a Great Product. Bought four lanterns, arrived quickly. Opened all boxes to test, found one that the protective plastic for the batteries was missing. Of course the batts were dead. Dont know if this was a mix up at the factory or I was sent a returned item. Anyway, we used them recently when tornado warning was issued for our area. These things are great!Gives enough light and love the open/on closed/off feature. A bit lighter weight than expected but delivers in every sense! I am very impressed how bright this light is, especially for the price! This will come in very handy as we often lose power during the winter. This latern is the best. It does what they say. Great brightness and compact. power went out for 6 hours on the day my tac lights arrived. These bright lights lit up my room like daylight! Excellent price! Great buy! It is very bright and works as advertised. I am pleased with the purchase. I ordered this as a thank you gift for a neighbor who watches our house when were away. Compact and seems to work really well. This item is nicely compact yet very bright. I bought three and one of them didnt shut off when collapsed. A friend of mine fixed the problem. This Baby lattern is very bright considering how small it is.Too bright to look at. I love it. Its small, but delivers big illmiination. Well worth the low price. I gave two of these as gifts and they loved them. I was told the units are very bright and very practical. Lantern gives off amazing light for its size! Lightweight and easy to store. Hope we never have to use it but very happy its there if we need it. This is a great little lantern. I bought it for myself for when our power goes out and for my grandson for reading in bed! I was happily surprised that the lantern really throws such a bright and encompassing light. These are decent lanterns. I mistakenly thought they were the same as the seen on tv models that you can run over with a truck and have them survive. But that was my error. Besides that they are ok. Since I would have to pay the shipping to send them back. I will keep them. A useful item but limited in its use. the unit is full on or off by the extension so it is maximum brightness/ voltage on opening. Their is no dimming control. My husband and I love them. We are planning on purchasing more for us and for gifts. Boy, wish we had them when we went through Hurricane Andrew. We were without electricity and water for 57 days. Very Bright - Very Useful! I gave away 10 of these as Christmas gifts. All were impressed and pleased. Got a number of examples of their use. They were a hit! I gave 2 as Christmas gifts. I like them so much, I want two for myself. I thought the product was wonder full.The brightness was moor than I expected and it felt very solid. I recommend to get at least 2, they will lighten up a room very well. so glad to have lanterns when the power goes out here in the mountains. 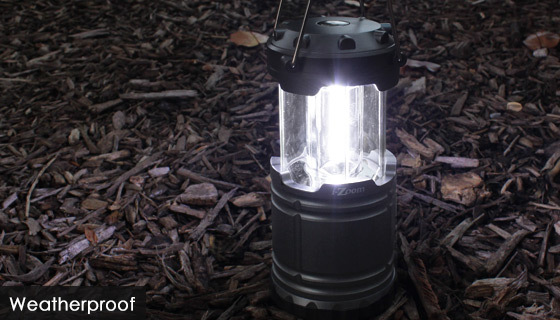 This lantern is really bright, enough to be a real help in a variety of situations. Adding the convenience of opening and closing to turn it on and off means you dont have to fumble to find a switch or to control brightness. Very sturdy construction, good size, good buy.